To say my family loves brownies is a major understatement. I don’t even have to ask my kids what kind of dessert they want to make because 9 times out of 10 it will be brownies. 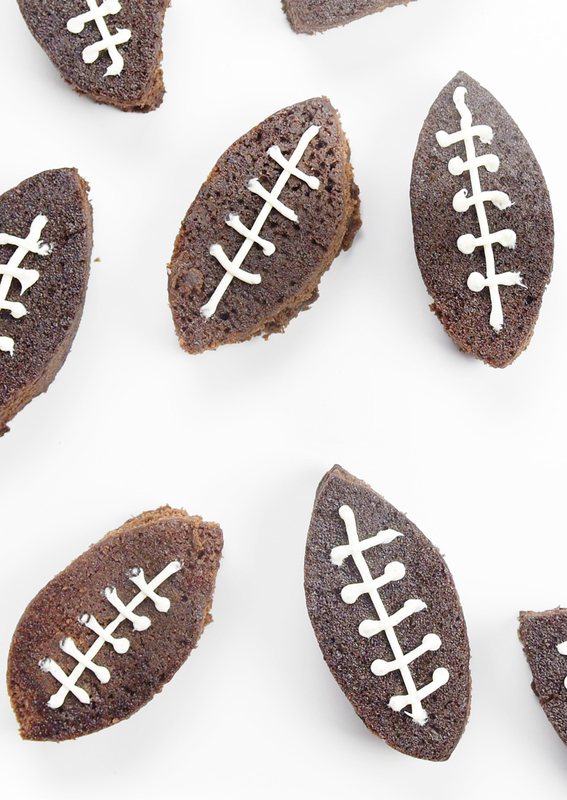 We love making brownies into fun shapes and we decided to make them into footballs for a game day treat this time. Crazy enough, I could not find any football shaped cookie cutters, so we improvised with a soda pop can! I love how they turned out and I think the soda pop can works even better than a cookie cutter because of the thin metal. 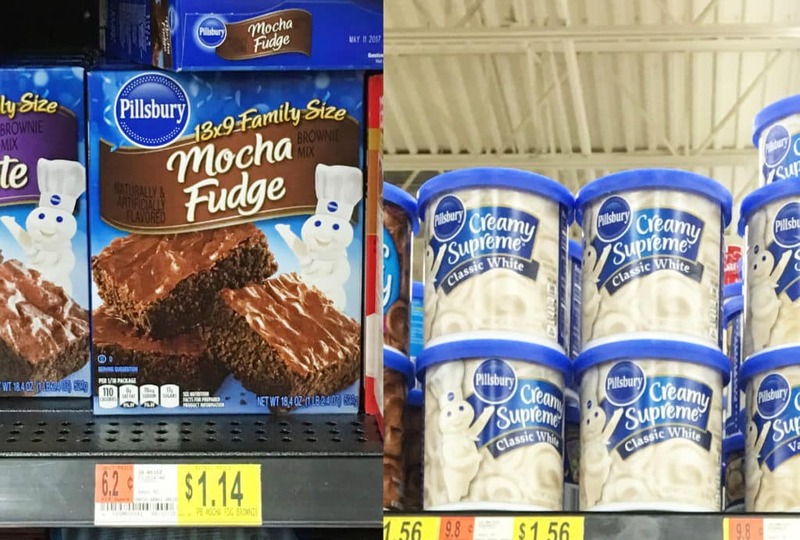 I buy the Pillsbury brownie mixes and frosting cans from Walmart so that I can keep a stock of them in the pantry. I love how easy it is to make a batch of brownies this way and it is very cost effective too. The Pillsbury family sized brownie mixes are the perfect size for our family of 7. 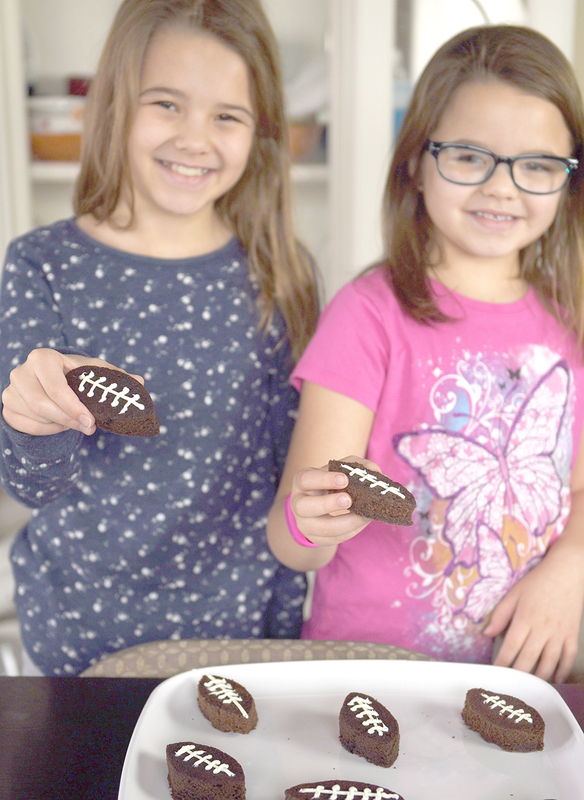 We tried out the Pillsbury Mocha Fudge brownies for these easy football brownies and they tasted great! This is a great time to stock up on the Pillsbury mixes and frostings with this coupon. To make the football brownies I used a 13×9 inch baking pan lined with parchment paper and made the brownies according to the instructions on the box. The Pillsbury Creamy Supreme white frosting was perfect for the laces on the footballs. I used a number 2 piping tip to pipe on the laces. When you just need a simple decoration for a cupcakes or brownies… the Pillsbury frostings are perfect to use! To make the soda pop can cookie cutter you’ll need some strong scissors and a clean/ empty soda pop can. Just cut a ring from the can and then shape it into a football shape by pressing in the ends. Once the brownies have cooled completely just take them out with the parchment paper. 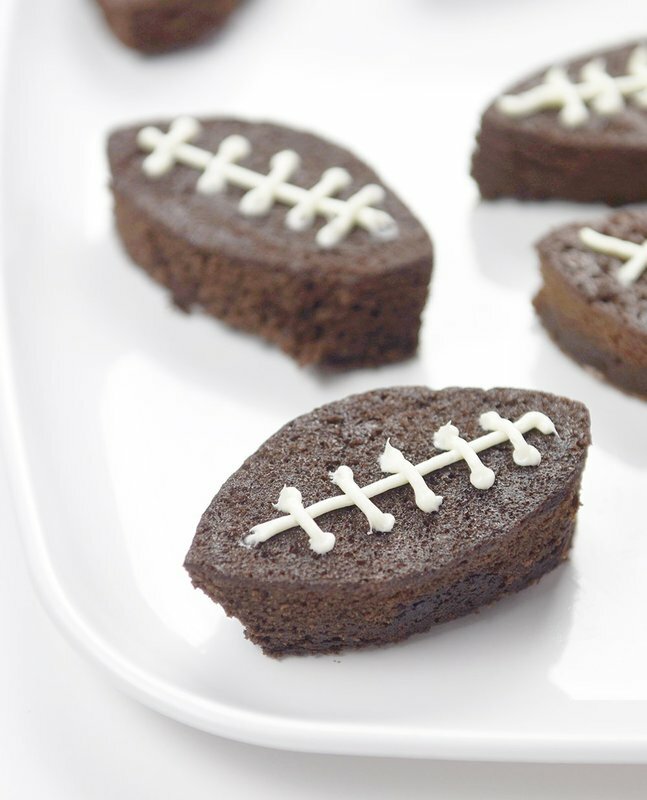 Take the cookie cutter and cut the brownies into the football shapes. Then pipe on the laces with the Pillsbury Creamy Supreme Vanilla frosting. Place each once on your serving dish and they are ready for any game day! My kids loved helping me make these! They are becoming quite the little bakers. It’s such a cute and easy way to make brownies. What desserts do you like to serve for game day? 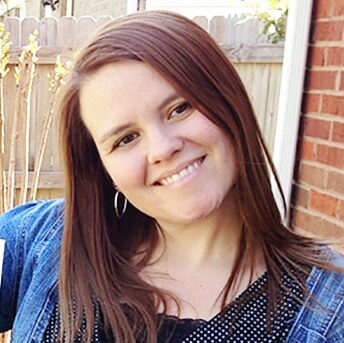 Be sure to come back next week to see how I use the Pillsbury brownie mixes to #MixUpAMoment for Valentine’s Day!